You could tell Rutiger has worked with children in the past. He included them in his performance which they all seemed to love. The birthday boy was so excited it was a wonderful performance. 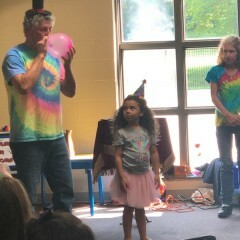 I would recommend Rutiger for a party he was very reasonable and timely did not charge per child and the kids loved it. Thanks once again for having the honor of performing for your event. Rutiger the Magician performed at our PTA STEM night. The kids thoroughly enjoyed the program. The kids laughter was amazing. 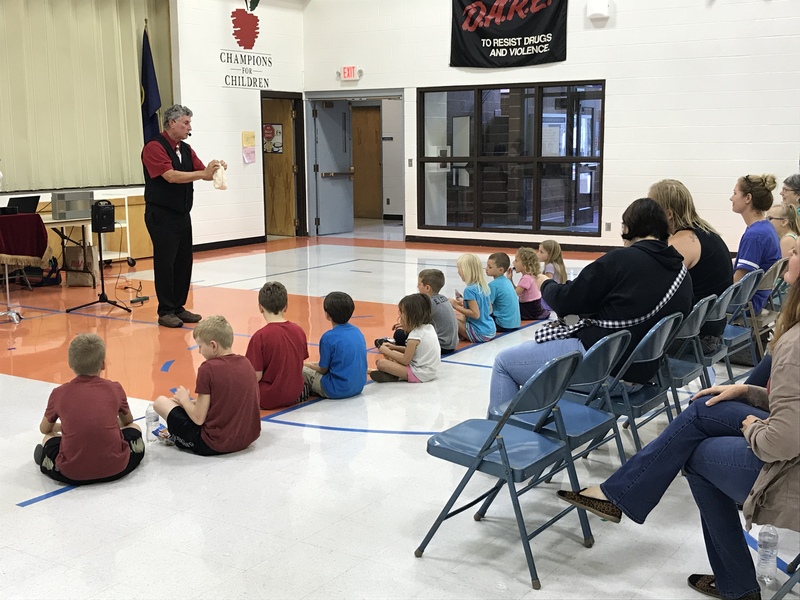 Rutiger was engaging and kept the children and parents involved with the magic and added educational elements to the performance. 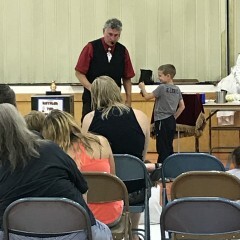 I would highly recommend Rutiger the Magician for future events. Thank you very much for the awesome review. Your staff were so very gracious and welcoming and wow the children were such a delight! Great job entertain 40 kids ages 3 to 11! The kids loved being involved in the magic! They communicated well and responded quickly to texts, and they were kind enough to include a special needs child in a trick which I appreciated, but overall the tricks were dated, and the 8 year olds at the party could figure them out. The assistant didn’t crack a smile. In general, they seem like they’ve been doing this a long time and are kind of over it. They are affordable, but I would say you get what you pay for. Again, nice people, just not enthusiastic performers. Thank you for your input. We had a blast and Juniper and her friends were wonderful. We asked Rutiger to do strolling magic for our 500 guests, which included 250 with special needs. He did a great job! He is very friendly and easy to work with. Thanks, Rutiger! Thank you for the great time. It was a pleasure working with you. The kids loved it- my daughter is still talking days later at how magical Rutiger is, he came for a 6th birthday party. They laughed and everyone participated and it was just great, I would do it a million times over. Many thanks for being great hosts. Shaw is such a delight, and her friends were wonderful! Thank you for the opportunity to perform for you wonderful event. I really enjoyed the strolling magic! Rutiger was fun and entertaining for all ages... from 3-83! Thank you for the great review. The children were awesome! We had a blast! Thank you very much for your review. Kami was a delight as we're her fun friends and relatives! Rutiger was great! 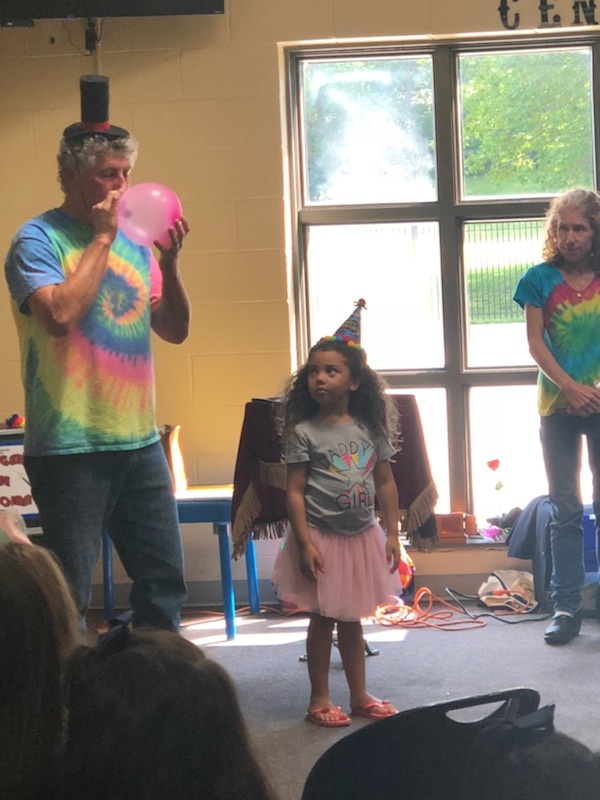 The adults and kids at the party enjoyed the magic show. He is a natural and will definitely entertain your kids! He called up several kids as helpers and my daughter was also given the spotlight during the show as a helper. I was on the fence on booking because I already had a bounce house but I am so glad I made the right decision. He was the perfect addition to the party! Thank you Rutiger!!! What a wonderful event! We had a blast. Great audience and awesome birthday girl! This event was a little crazy with so many people and Rutiger jumped right in and people loved it! Very impressed! Charleen and Tracie were wonderfully delightful and their family and friends were welcoming and hospitable. Thank you so much for hiring me! Rutiger was very entertaining for the kyds and adults as well. Thank you Jake for the review. What a wonderful group of folks. We had a blast performing! He did an amazing job. The kids were totally involved and enjoyed his tricks very much. He was very punctual and very respectful of all our guests. Very reasonably priced. Could not have asked for more! Thank you so very much for the opportunity to be part of your celebration. You have a beautiful family! Myra is a beautiful child. Happy Birthday once again. Rutiger the magician was tops! 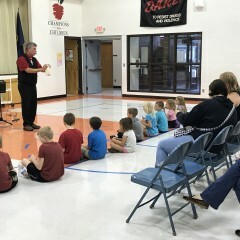 He was able to keep our group of 18 6-7 year olds entertained and engaged! We all had a great time! Thank you so much. Isobel and all her friends were delightfully and awesome! 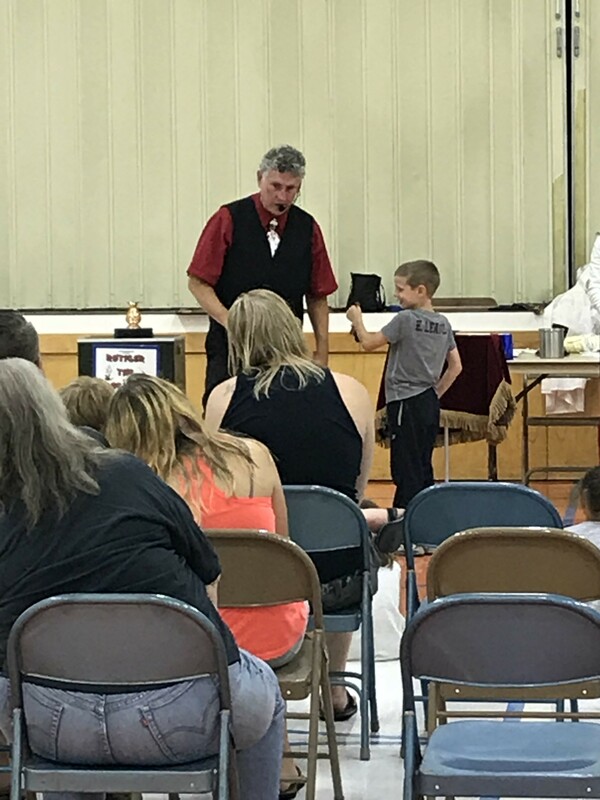 Rutiger the Magician came to our after-school program and did a fantastic job. The students really enjoyed his tricks and were well-entertained. We would recommend him for other events! Thank you for the kind words. Your town folk were so very welcoming and friendly and the children were awesome and well behaved. He showed up on time. The kids and adults had a great time. The interaction was great. Thank you Sean and Pam were awesome! Rutiger was prompt, and had a lot of tricks lined up especially for our young audience. Birthday girls were 5 and 7 and they were made to feel special and participate and their friends got into the act and enjoyed the tricks! What a delight your two girls were. We had a blast performing. Thank you so much! He was entertaining and funny. Thank you so much for inviting us to perform for your event. Kinley is a lovely child! You guys were awesome hosts! Rutiger's show was fantastic. Kept all ages of children entertained. Worked the children into the show making it extremely interactive for all the children. Will hire for future shows again. Wow! Thank you so very much for the review! Kami was an incredible delightful young lady! You folks were so gracious and welcoming. We had a blast.! Peace to you and your family. Would definitely consider him again! Rutiger was on time, efficient with his communications back & forth. We had a fundraiser kids party, from infant to pre-teen & their parents so tough to keep attention & interest from all the age groups and he did a fairly good job! We will definitely consider him again! Rutiger was amazing!!! My daughter and her friends were amazed at the magic. Dad and I were mind blown such a great time. We will have him back again and again. Thanks so much for making Makynas day AWESOME!! Thank you so very much for the review. We had a blast! Makyna and her friends were a delight and your family was so warm and welcoming us to your home. Peace. We had a birthday party for my 7 year old son. The kids loved watching Rutiger perform! In my son's words, "that was the best birthday EVER!" Dylan and his friends and family were awesome! Be awesome in all you do. Thank you. Rutiger communicated very well with the organizer and was true to his performance. The kids were engaged and I would recommend his show to everyone. Thanks! I wanted to sincerely thank Nancy for booking us for your town's events. We loved performing the folks in Pickrell NE were so gracious and kind. We had a blast! Take care and live life magically! We hired Rutiger the Magician for a Community Event with about 150 guests. He did a great job working the crowd and doing tricks that got the entire audience involved. Rutiger communicated well up tell the time of the even, and arrived on time. I would recommend Rutiger any family friendly show that you are looking to do. Doug and folks of Shenandoah IA. It was a thrill meeting you folks and partaking in your festivities. We had a blast performing for you and giving people a chance to feel like a child, even if for just a moment. It was an honor. Thank you so much and may all your days be filled with wonder and magic. I can offer lots of audience participation, lots of laughter. I don't do any thing in a children's show that uses fire or sharp objects. I don't use live animals. I do use a marionette and puppets. If I'm doing walk around or table magic, I use card tricks, coin tricks and sponge ball tricks. I have a clean look. I'm prompt and courteous. I'm available for an interview prior to booking me. I've been performing magic for over ten years. You know, I've been a child and as a child I loved watching magicians pull coins out of my ears and out of thin air. So I decided I wanted to learn how to do that. However, I didn't want to just do magic tricks, I wanted to be entertaining and funny and goofy. So that's what I do. I've performed at many area Day Care centers and birthday parties. I have two grown children so I know what it takes to be a parent, lots of love and patience. I spent 23 years in the United States Air Force, and then six years in the airline industry. Now I'm working on getting more bookings and becoming more known. So, please, if you'd like to hire me, I'd be honored to preform for you. We'll both have a great time!! Watching other magicians. My mentors are from the Omaha Magical Society and some world famous ones, for example, Tommy Cooper, David Copperfield and Julian Mather.